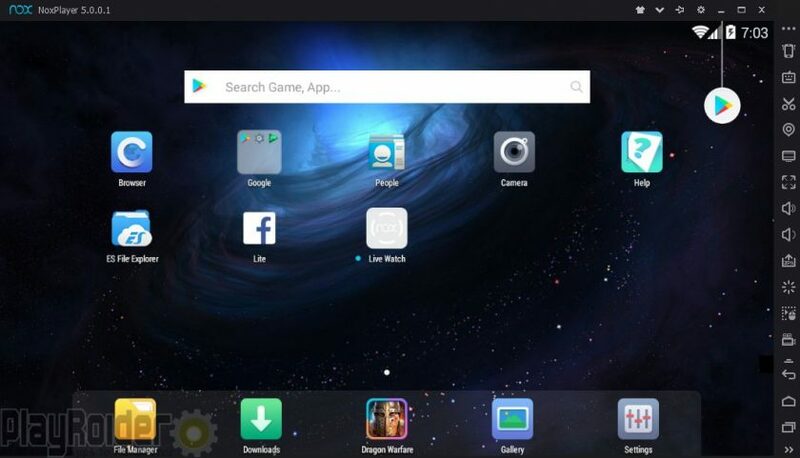 Bluestacks App Player is arguably the most widely used Android emulator for PC and Mac OS and for good reason. 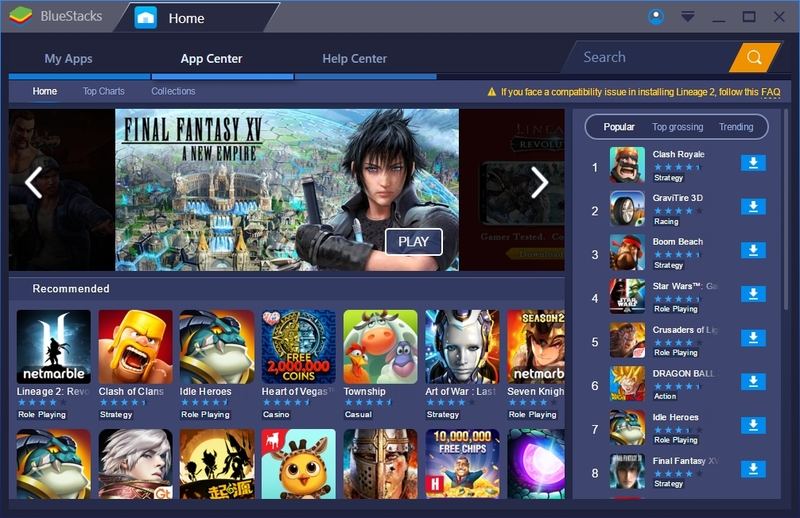 Bluestacks started its first public alpha version in 2011 and has grown to have millions of users around the world for its ease of use as a virtual Android operating system. 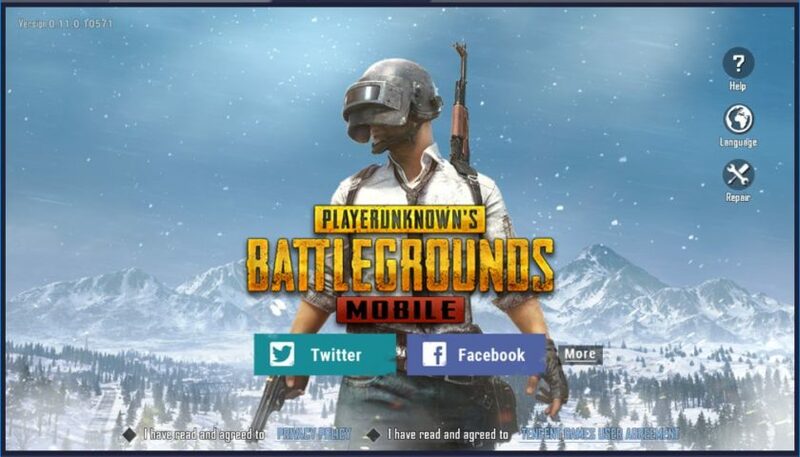 It is marketed towards Android games on PC but can also be used for other applications too. 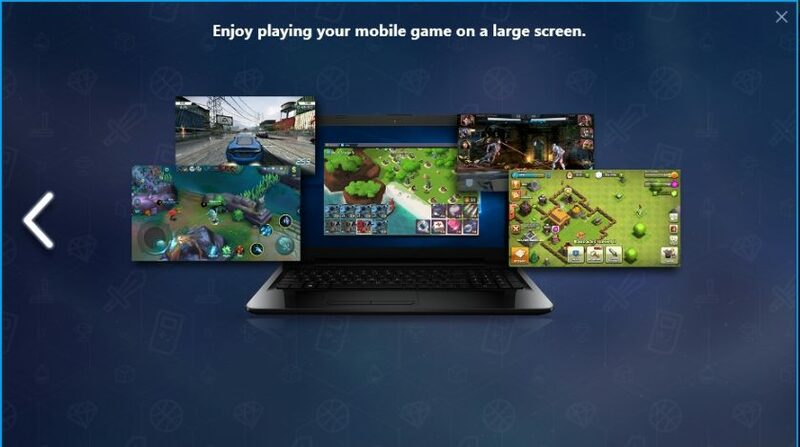 Bluestacks 3N is the current major version, The app player runs on the Android 7.1.2 Nougat operating system and is compatible with Windows 10, 8, and 7. It requires Virtual Technology to be enabled to rim properly and works with dedicated graphics cards and integrated graphics, such as Intel HD Graphics. The popular Android emulator has received its share of negatives, however, largely due to its subscription service to remove adverts and problems running the emulator correctly. There is also the requirement of needing a Google account to run it. 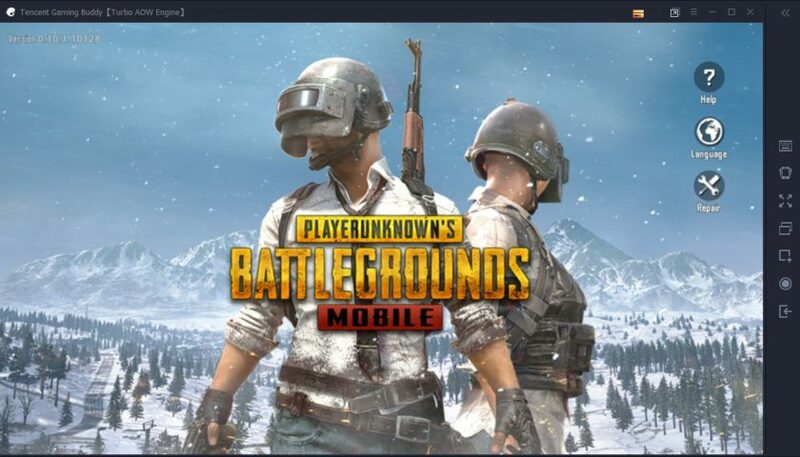 Despite the issues, is it still the best Android emulator for PC? 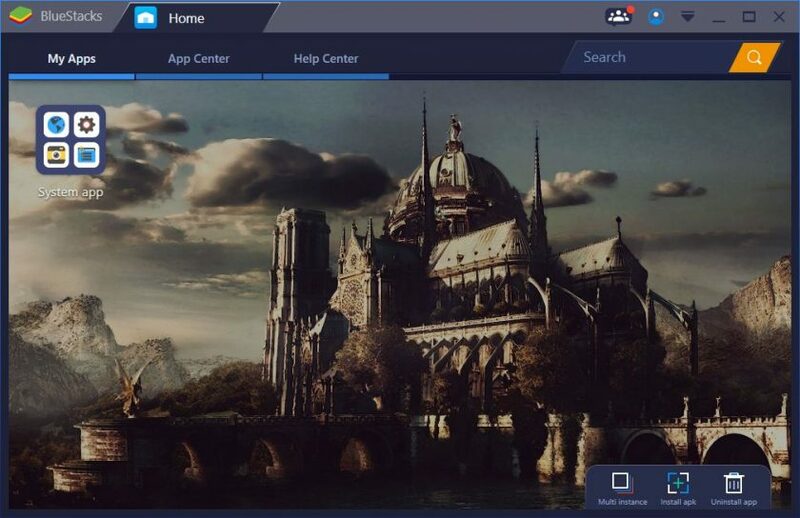 This Bluestacks App Player review will go into the details on its performance, full features, and more to answer that question. The UI is sleek but slightly complex. The emulator has three tabs to choose from. My Apps, which is where the home screen is and where Android applications are launched. App Center, the Google Play Store portal of popular and trending Android apps. And Help Center, where users can get information on using the app player and solving issues they may be having. When BS3 starts up, it goes straight to App Center first; you’ll have to switch to the My Apps tab to see your home screen. Unfortunately, there’s no option to choose to start the engine on the My Apps tab, but it’s only a slight inconvenience. The search bar in the top-right corner is for searching for apps in the Play Store. On the My Apps tab, the bottom-right corner has buttons for installing and uninstalling Android APK files. There’s also an option for running multiple instances of Bluestacks so you can have more than one emulator running at the same time. Anytime an Android app opens it displays this menu at the bottom. 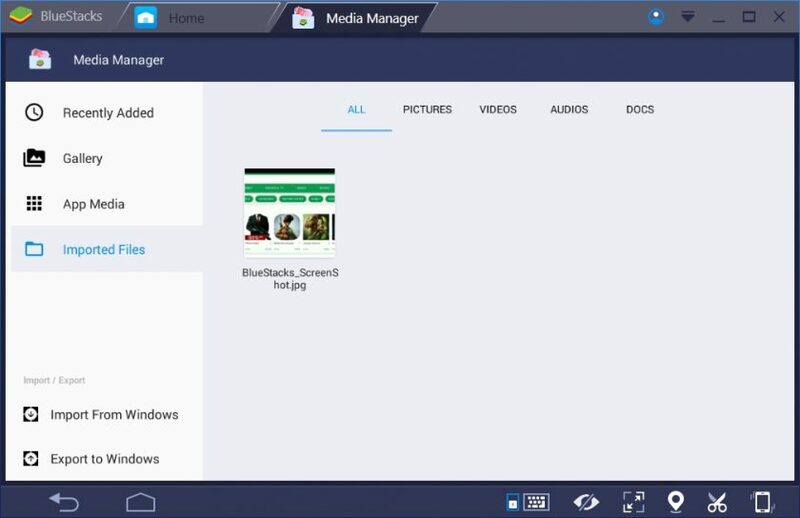 To start with the basics, Bluestacks 3 includes a keyboard control UI. Clicking on any area of the screen lets you bind a key for an action. Dragging the desired icon for keyboard mapping also works. There are options for playing shooter games and MOBA apps. The keyboard controls do not support some keys to bind like SHIFT and TAB, so you may need to find a workaround if you rely on those keys. You can adjust the opacity of your keyboard mapping on-screen during gameplay. Taking a screenshot is saved directly onto your PC, instead of inside the emulator. There’s a virtual location option that can be used to change your area, a button to simulate shaking the device, and one for fullscreen. The Media Manager is where files can be shared between PC and emulator. It can be used to import/export images, videos, audio, documents, and a few other file types. It can’t be used to import a .apk file though, so you’ll still have to install it using the APK installer. If you’re looking to export APK files, you’ll have to download a file manager from the Google Play Store. For the most part, the Media Manager is only useful if you need to transfer large amounts of media files between emulator and PC. You’ll have a user profile when using BS3. All new profiles have the “Bluestacks Basic User” account type when they sign in with their Google account, but you can upgrade to premium. The premium account type removes the adverts occasionally displayed and offers direct communication support. 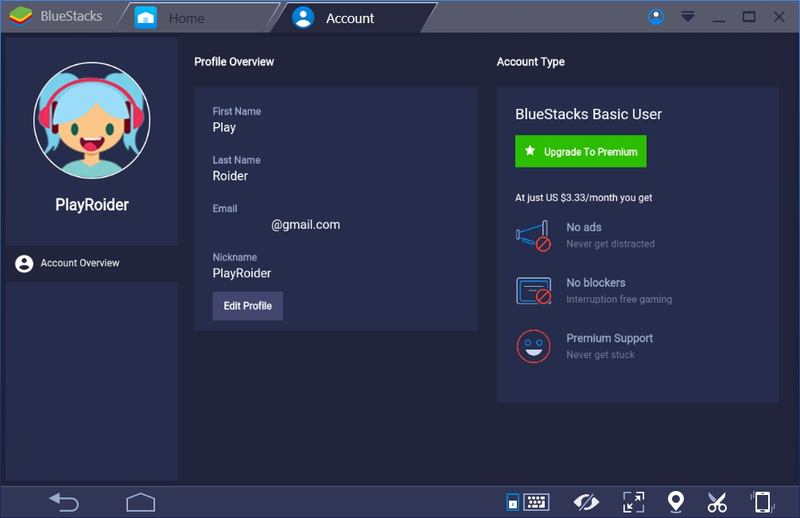 There are two types of Bluestacks premium subscriptions: a monthly subscription which is $4 per month, and the annual subscription that’s $40 per year. The App Center in BS3 is a portal to find games on the Play Store. It displays a list of Top Grossing, Trending, and Recommended apps. It’s the Play Store but re-skinned. While the app compatibility of apps running in BS3 is pretty good, people have complaints about some Android apps not working from the App Center. Sometimes you may see a “your device isn’t compatible with this version” message. The problem could be several reasons: The app isn’t compatible with the Android version (in this case, 4.4.2), the app developers have blocked access from virtual machines like BS3, or some other issue. In general, it’s better to use the official Google Play Store app, which will hide incompatible apps, or use a trusted 3rd-party APK website. Under settings, you can adjust the Aspect Ratio to any size along with the DPI. 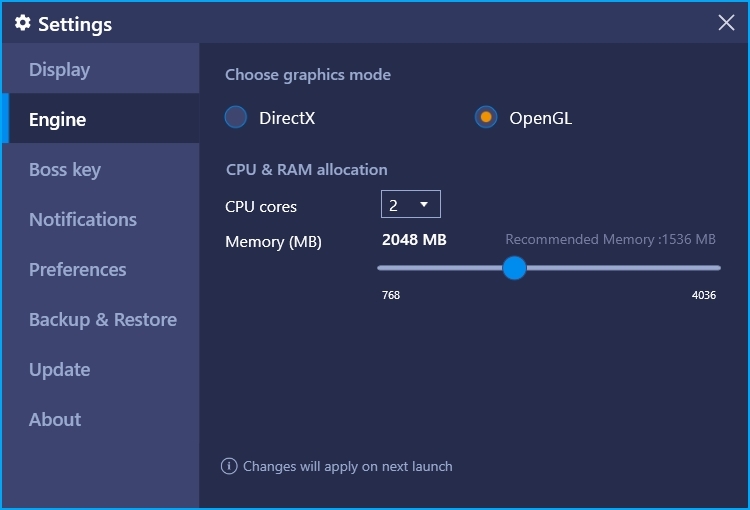 There’s support for OpenGL and DirectX graphic rendering modes. You can allocate any amount of CPU cores and RAM to the emulator, providing your computer can support it. There’s a backup and restore feature for exporting all emulator data, including installed Android apps and keyboard mapping controls. You can change the notification settings of app activity. There’s also a nifty feature to use app shortcuts on your desktop computer. For the most part, there’s little to cover on the settings as they come pretty basic, but this Android emulator is meant to work out-of-the-box, so it’s more user-friendly. 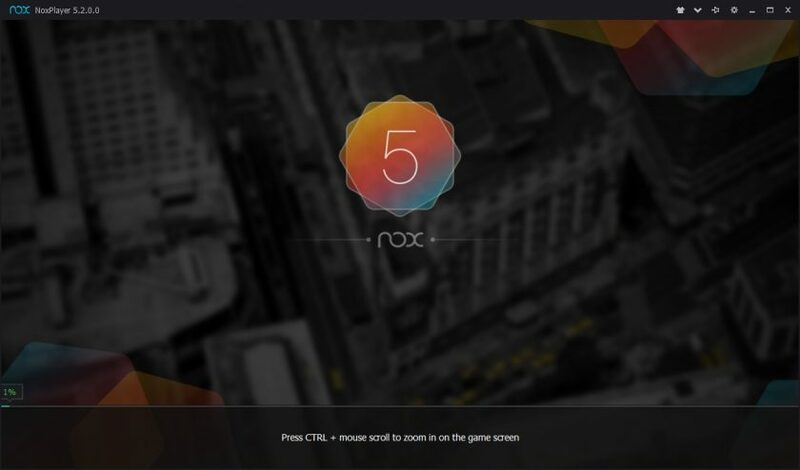 When it comes to Android emulator performance, the Bluestacks App Player often leads the way as scoring one of the highest benchmark totals in PlayRoider’s test along with Nox App Player and MEmu. It still remains as one of the best choices for playing graphically-intensive Android apps. 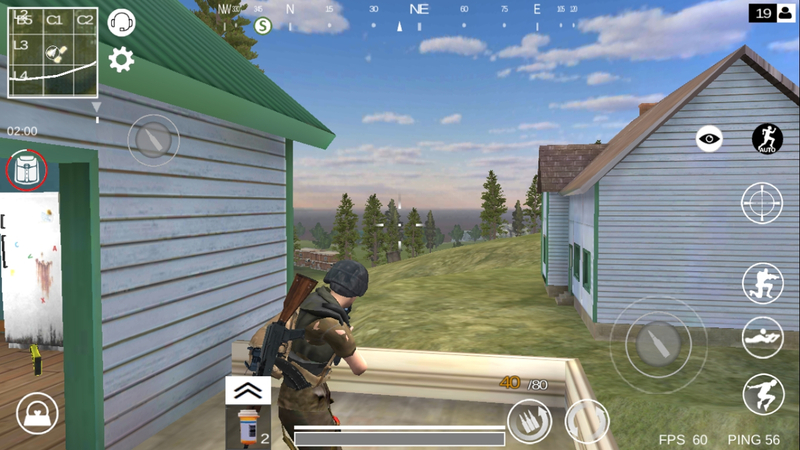 One game that a lot of older Android devices struggle to run is Last Battleground: Survival, a PlayUnknown’s Battlegrounds clone for mobile. 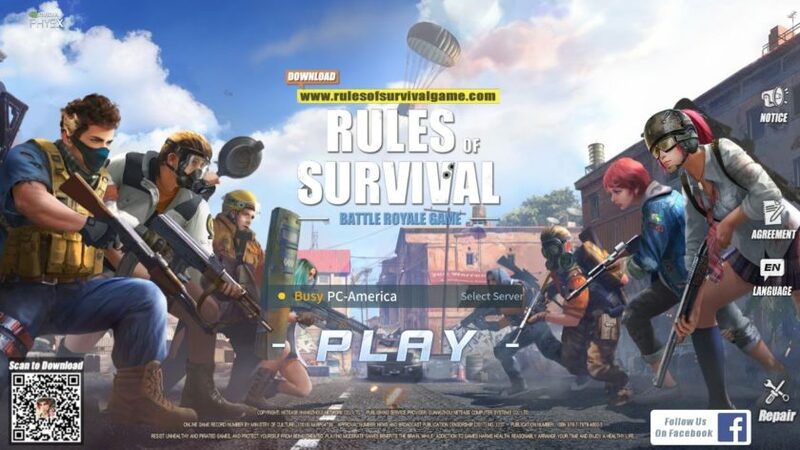 40 players drop onto an island and battle each other to survive until only one player is left standing. There’s also a duo mode for two players, and a quad-mode coming soon. The map is quite large for a mobile game, but Bluestacks 3 can run the game nearly perfect at a constant 60FPS with 2GB RAM and 2 CPU cores with OpenGL. Runs most Android apps on the Google Play Store without lag. Backup and Restore function to save data. Occasional advert popups; requires a subscription to remove. Can crash or become unresponsive at times. App Center incorrectly displays apps that are incompatible. 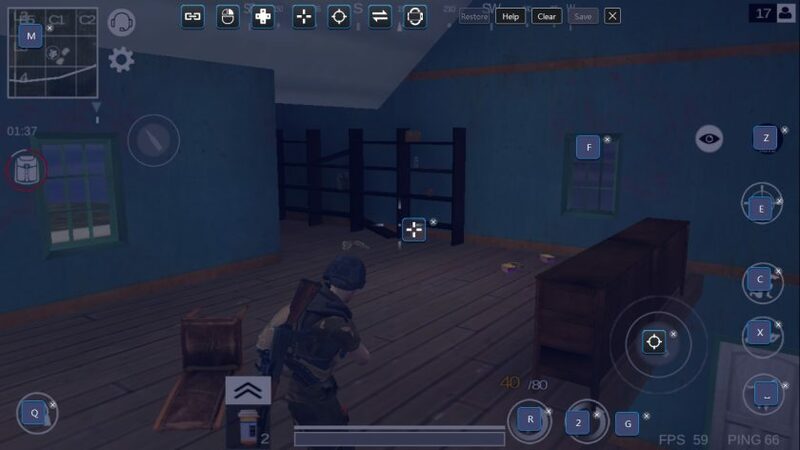 It comes with a few issues, but the performance of Bluestacks 3 still makes it worth using for mobile gaming on PC.